We told you earlier that multitasking was possible in iPhone 3G and iPod touch 2G on OS 4, provided that you jailbreak the device and edit a N82AP.plist file. A video, which has just popped up demonstrates exactly that on a jailbroken iPhone 3G, running OS 4. Video after the jump. For those of you who don’t know, Apple limited both the older iPhone 3G and iPod touch 2G for multitasking in iPhone OS 4. This according to Apple was due to lower amount of RAM on these devices. UPDATE 1: Jailbreak iPhone OS 4 with Redsn0w is here. You can now enable multitasking on OS 4 by simply editing the file N82AP.plist as mentioned above. Step by step instructions for the jailbreak can be found here. i Thinks its just a fake I cannot see that this is an 3g maybe he moved the compass just to the third page. Either os 4.0 is much faster on the 3g than 3.1 or this the s version. YES, the moment we've been waiting for!!!! @Philbeat : On Jailbreak, all phones (even Iphone 2G, or at least mine) where able to run multiple process. I have factory unlocked iPhone 3g with OS 3.1.3 and modem firmware 5.12.01. If I upgrade to OS4, Will my phone remain unlocked, and will the jailbreak be untethered? Unlocked a 3G last night and enabled multi tasking but it is slow, should I not enable that in order to make faster ? YOU ALL ARE WRONG. 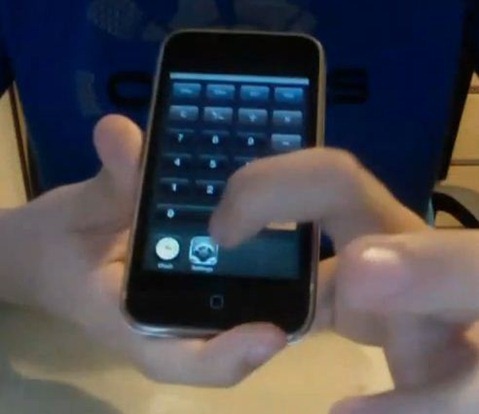 I JAILBREAK WITH REDSN0W MY IPHONE 3G WITH 4.0 IOS AND MULTITASKING HAD BEEN ACTIVATED TROUGHT THE JB. ty DEV TEAM!! Can I jailbreak with redsnow using window? I follow the 2nd step to restore …it asked me to restore and “update”. is that right? Damn.. STUPID Steve Jobs. My iPhone 3G that have iOS 4. The multitasking work great and doesn't sluggish my iPhone. The multitasking run just fine. I don't understand why the heck Steve Jobs or whoever developed iOS 4 that had multitasking disabled for iPhone 3G. Steve Jobs should let most of iPhone customers beta test with different model of iPhone and give the feedback. Sorry I talk like gibberish but due of my deafness, my English grammar is horrible. Sorry if I offended you, Steve if you read this, but it's the FACT. So how do you edit the N82AP.plist?? Works great on the 3G. Kept all my apps and settings as well. I love SBSettings but will wait until the bugs are worked out. Used redsnow 9.5 and loved it. I just upgraded my 3G 3..3 to 4.0 & the cydia takes forever to update unless I stop it,it keeps saying downloading package.also it's always in safe mode since rebooted how can I change all of this heeeeeelp plezE quickly. ummm ok settings, clock, and calculator are all apple apps so they all run in the background anyway. 3G users just use 3.1.2 or 3.1.3 with backgrounder+proswitcher. Just my thoughts. To the Moderator. Go ahead and delete this. I am just hoping the message gets through. This is the only place that I am putting this.